We had planned to make a second one of those for the German butterball potatoes, but I needed something faster. 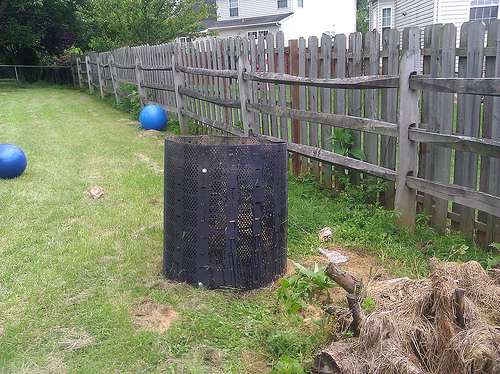 So I took one of the compost bins the county gave us last year and filled the bottom with dirt and compost and planted to potatoes. The plus side is it took only about 30 minutes (it would be faster if you’re strong enough to actually lift a bag of dirt…) and it seems pretty well guarded against animals. The cons are that the walls are blocking the potatoes from getting all the light, and the holes are going to leak dirt. I tried to remedy the dirt leaking problem by lining the walls with more compost and grass. It worked some, but we’ll see if it can handle a big downpour or not. 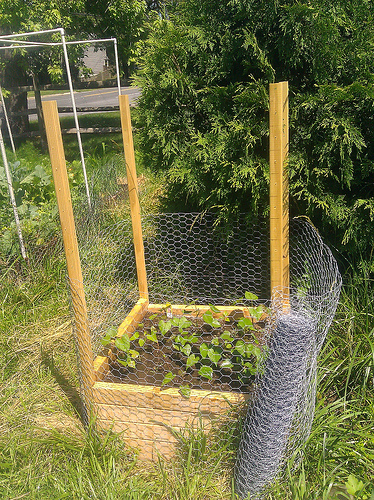 But the potatoes were getting old and I was tired of carpentry, so at least this got them planted. 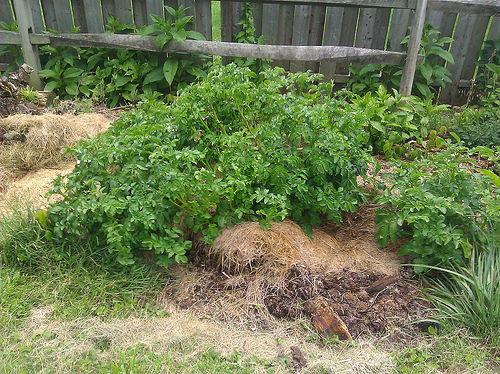 This shows you how easily potatoes grow. I had a bag of potatoes that got lost in the pantry while we were out of town for a week, so I dumped it out into the compost pile. Well, they decided to just go ahead and grow — I guess my compost is tasty. 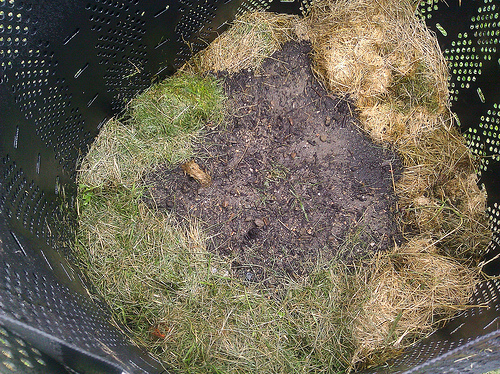 I really did nothing other than throw potatoes into compost. That’s it. And the stupid critter (groundhog? rabbit?) already nibbled on it. 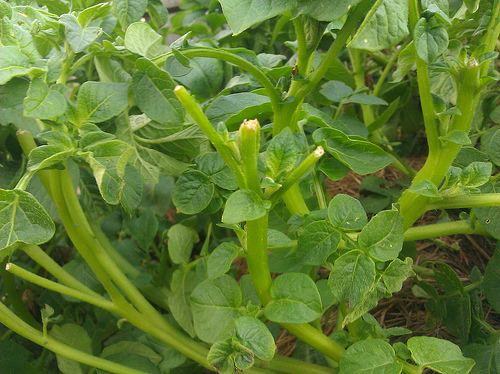 I wonder how toxic potato leaves really are….